David Jelicz, second from the right, spoke at the Speed UPPP Poland conference organized by the Institute for Public-Private Partnership. The Law, which establishes measures such as market tests, pre-implementation evaluations and greater flexibility in selecting private partners, will also bring about significant changes in legal and financial aspects. 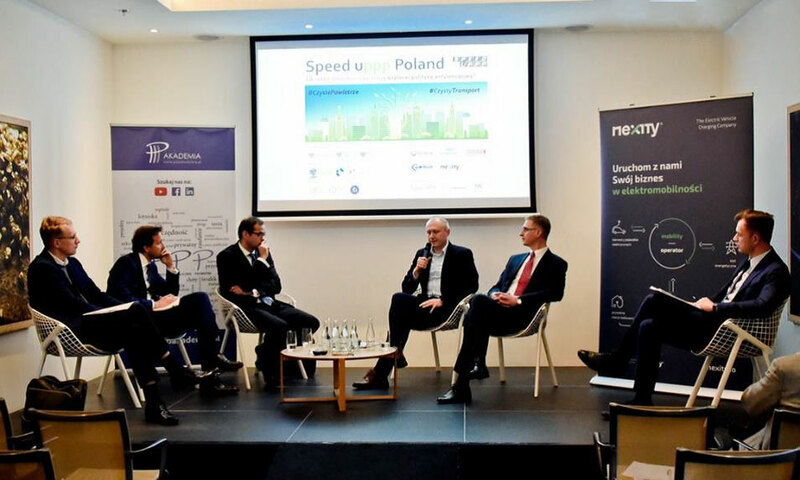 This issue was the focal point of the Speed UPPP Poland conference organized by the Institute for Public-Private Partnership on December 5, 2018, which brought together over 100 representatives from private companies and governmental agencies. David Jelicz, senior associate with Garrigues’ Corporate/Commercial Law Department, spoke at the session addressing the legal and financial instruments regulated by the new law.